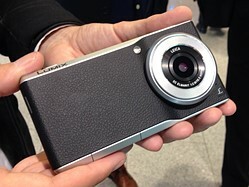 Panasonic has not been very active in the smartphone space recently but today the Japanese company has announced a new smartphone at Photokina in Cologne that will undoubtedly appeal to many mobile photographers. 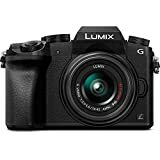 The Panasonic Lumix DMC-CM1 smartphone boasts a 1 inch 20MP sensor, which is likely the same imaging unit we've seen used by other recent high-end compact cameras like Sony's Cyber-shot RX100 III. The Lumix DMC-CM1 comes with the largest imaging sensor we have seen on a smartphone. Its 1"-type 20MP chip has the same dimensions as the sensors in premium compact cameras such as Sony's RX100 or Nikon's 1 series, and is around seven times larger than the 1/3"-type sensors that are common on more conventional smartphones. The large sensor is coupled with an F2.8 Leica lens that offers an equivalent focal length of 28mm. This is by far the best camera specification on any smartphone and the 20MP resolution should even allow for a good-quality digital zoom. 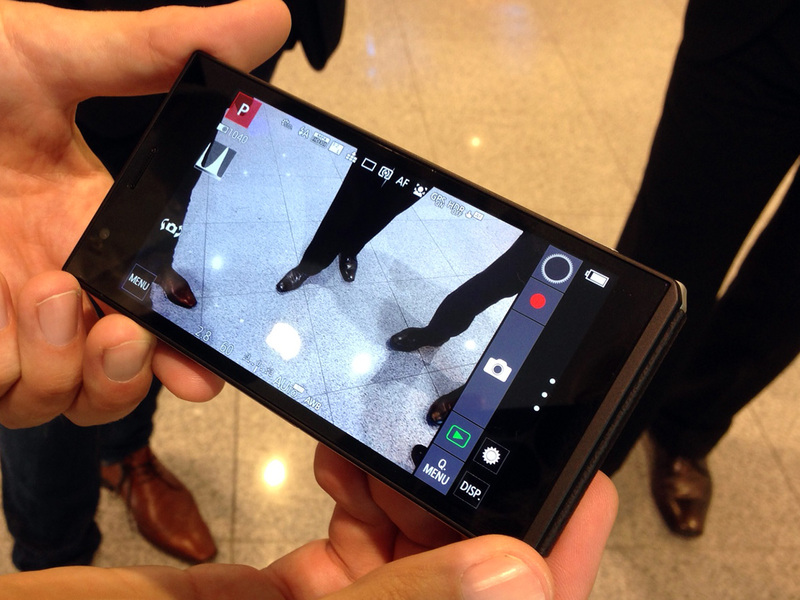 The CM1 is also capable of recording 4K-video and Raw images. Focus, aperture, shutter speed, ISO and white balance can all be adjusted manually, and there's a mechanical click-wheel around the lens ' barrel' on the front of the camera/phone. 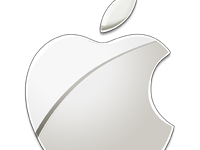 The rest of the specification is in line with current high-end smartphones. Images can be viewed and composed on a 4.7-inch 1080p display and Android 4.4 is powered by a Qualcomm Snapdragon S801 quad-core processor that is clocked at 2.3 GHz. 16GB of internal memory are on board but the device also takes microSD-cards of up to 128GB capacity. From a design point of view the CM1 looks like a smartphone on one side and a high-end compact camera from the other. At 21mm the device is considerably thicker than most current high-end smartphones which is no surprise considering the the large image sensor. With its impressive camera specification the CM1 is the closest thing we have seen to a true hybrid device. We are looking forward to get a test unit in our hands and see how it fares against the Nokia Lumia 1020 with its 1/1.5"-type sensor and other high-end models. No firm detail on regional availability have been given yet but we understand that the CM1 will be available for 900 Euros (approximately US$ 1160) from November in some countries. I'm surprised they would go out w/no OIS. My Note4 has it, and Panasonic were innovators of the technology. Sure, it might be a little thicker, but hey -- even a 1" is going to benefit greatly from those extra stops. It's fair to say wait and see, but it seems like you'd be talking about a revolutionary improvement in high ISO performance not to have it. 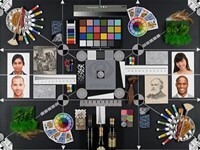 And that would be out of character for Panasonic, who tend to lag there, in favor of total camera concept and function. They've got the camera-making chops, and if past is prologue, they can be expected to score advances and sometimes game-changers. Is this it? I'm pretty skeptical that ISO improvements will counter OIS and flash concerns, but am willing to wait. =total 793.92 euros. Paypal didn't work with their website, neither paying by CC, I had to pay buy by money transfer. My total cost was app. 920 USD. It arrived in app. 10 days. I am very satisfied. When could I buy it in the USA? I've just swapped my LX3 for an LX7 on a very special offer at £189. I have an Eye-fi card for wireless connectivity, including with my HTC One M7 on Android. CM1 might be up for consideration IF it had the lens of my LX7. However, I have no immediate plans to buy a 4K TV or produce video in that format, so as it stands, paying €900, for something with less functionality than I already have, doesn't appeal. I find that the sweet-spot for street is the 40mm f1.8 I use. It is quite remarkable really. you are joking, right? because it sounds like you are talking about a camera. like an interchangeable lens camera. 28mm equivalent is mostly boring for landscapes and cityscapes and way too short for almost all pictures of people. It's the one focal length I hardly ever use. It is very good though for egg head and other ugly pictures you can only excuse for by saying your phone manufacturer is smarter than you are. For street photography, I think it's a good compromise. I agree. I find 24mm & 35mm much more useful. each to their own. Historically there has been many 28mm lens released and have sold well for SLRs and DSLRs. Also point and shoot film cameras frequently had 28mm as well. I really don't agree with this at all. I use 28mm exclusively for portraits and it works beautifully especially indoors. I think anything longer is hard to do indoors. I also have a 50mm prime for outdoor portraits. They need to design a grip containing extra battery juice. Really nice! If I were in the market for a new smartphone and not already in the iPhone eco-system, I'd seriously consider this. I would be glad to 86 the iphone ecosystem in my life for the right camera phone. the CM1 is already quite large for a connected phone and camera. 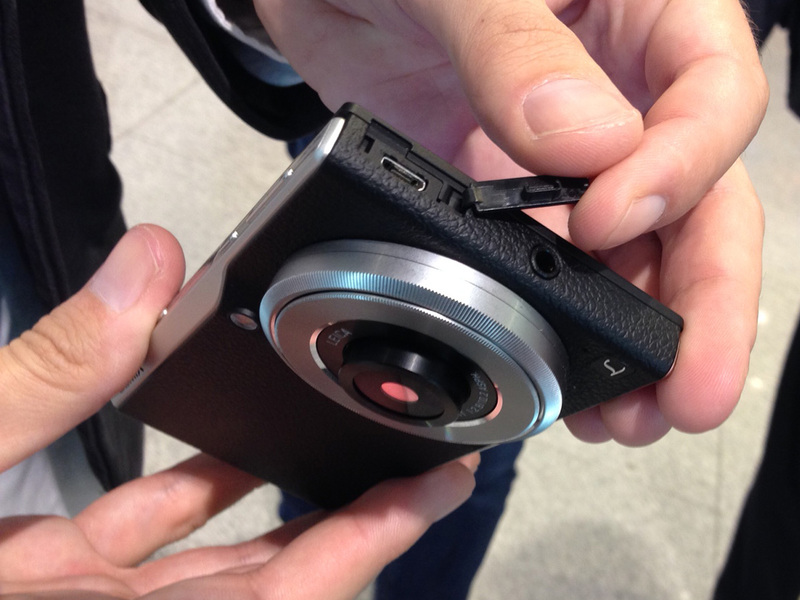 Adding an optical zoom with the 1" sensor would make it extremely thick. If zoom is your priority, then the Galaxy K Zoom is more suited for you. The CM1 smartphone camera will be all about quality imaging. How about a compromise of something like 3x zoom, rather than 10x? How bulky or otherwise would that be? 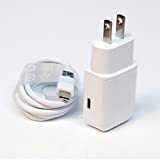 For those worried about battery life, you can always buy an external USB battery pack for less than the price of a total proprietary camera battery, $10 to $40 depending on capacity. Plenty of power for a full day shoot. Yep, Newegg just had one on sale yesterday, 10,400mAh for $22. $25 per 10000mAh seems to be the going rate for these when on sale, will prolly get cheaper as Black Friday comes around. The 10000mAh will charge most smartphones 3 to 5 times. Hadn't thought about it... certainly a reasonable solution to what might be a non-problem anyway. I can't help but wondering if I would buy it without a swappable battery. If I'm heading out into a national park with nothing but a cell phone for a camera, I definitely want to be able to swap a second battery into place. Having a user removable battery would have been nice, but for today's smartphones, more manufacturers are design conscious which in a lot of cases negates the design of a battery door or removable battery. Star of Photokina 2014 and king of mobile phones..
hmm wonder how much dropping and shock the Cm1 can take with so many moving optical elements. very true! I was really looking into this phone/camera. but I intend to drop my phone alot, but never my DSLR! Never thought of this point before! It does look robust, Hope it also actually is though as well. If it had optical stabilization and 30fps in 4K - I would buy it! We'll all have to wait a little longer for that! The dumb phone owner who has been reluctant to upgrade is definitely interested. I did try a Android G1 when it first came out, and was underwhelmed. Price will be a key spec ... as Anandtech says .. "there are no bad products, just bad prices". I also think there is a market for high-quality fixed-lense 'micro' camera like the canon ixus i, even smaller than a smartphone. Looks like a winner ...... the useful camera that is always with you. Or Nikon for that matter! all this wowness and they give it an LED flash!! what were they thinking? LED flashes are useless at freezing any movement, so unless the scene is static you can forget about getting a decent photo!! XENON, come on Panasonic! the CM1 will be able to freeze motion by increasing the ISO. This of course comes at a cost of image IQ, but hopefully the larger sensor will be able to negate unfavorable digital noise. u will have to wait and see. using ISO 25600 may not be optimum for picture quality on the CM1 but bet the shutter speeds for general indoor shooting will be more than 1/8 or 1/20. for example for indoor shots the 808 easily does 1/20 shutter speed at just ISO400. Lets wait for high ISO image samples, then judge. I bet my old canon 5d at ISO 800 will blitz the 1020 at ISO 100 with xenon flash any day. I hope you guys are kidding. This is a pretty basic thing. All the ISO in the world won't be able to do some things a xenon flash can. The simple case of backlit object? You can over/spot expose for the object, but you're losing background detail. Flash needed for fill. Harsh noon hour sunlight producing harsh shadows on facial features. Flash. Sometimes you just need to control the light. So for a kick@ss camera Panasonic got here, to be real serious, we need a xenon flash... or com'on a dual LED light? hope they come out with a flash accessory. Got the 5D2 as well as the 1020. And the 1020 is impressive even compared to that. 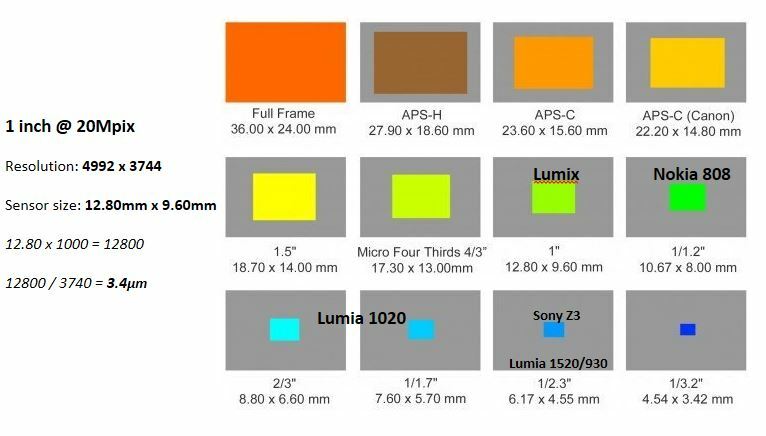 The 41MP supersampled to 5D size would kill a lot of the noise... plus a xenon? What are you guys talking about? how did you guys determine the shutter speed without knowing the light available? if with iso 200 the shutter speed is 1/20 you can freeze a moving person with iso 1600 easily! I don't use flash often anyways, specially around fire at night when the light is low, I take photos with iso 1600 (even 3200 at times) and shutter speed at 1/30 with aperture f2.8 nicely. yes it introduces noise even on a DSLR and I have to time my click better to capture at the slowest movement of the person, but the quality still puts pictures taken with a small sensor phone cameras with xenon flashes to shame! On this phone, I think the sensor and the glass is much more important than the flash! Does anyone know if the smartphone part of this device includes a notification light (LED) ? I am really interested in it, but I can't use a smartphone without this feature. I'm sure there will be an app that will do that, if there isn't one already. For example, check out "Flash Notification 2" and similar apps at the Play store. why this reminds me of NX mini ? I don't think that battery size (2600mAh) is enough for photographic device that also has android running at the same time. Going to drain it self empty very quickly while shooting and uploading your photos to the social media as the selfie snapshotters tend to do. I don't think Android uses that much battery power (unless you have a bunch of apps running all the time, and have the screen on high brightness). A brilliant idea - I'm hoping they come to the UK soon! I would buy one! This is beautiful. But... would it kill 'em to have a lens cover? C'mon Panasonic. Impressive! I wonder if the lens pops-up when you turn the camera on or it already uses a new curved sensor. Some people complain 28mm is too little and some people complain 20MP is too much. Well, 28mm is very usefull for indoor, street and landscape photography and the 20MP sensor will allow for "heavy" croping which mitigates the lack of a longer focal length or zoom! Hopefully other brands like Samsung and Sony will bring something in this line. I think other brands in the same line would be Nikon canon and sony! It would certainly stand out when using the phone. Yeee haaaa!!!! Finally, the phone of my dreams. As a person who shoots events from time to time and needs to upload photos to client websites while the event is happening, this camera will solve a lot of problems for me. I can only dream of that amount of money for a non serious camera. Yet, very good effort from Panny as this better than Samsung's. Nokia 1020 at a fraction of the price? You don't need this phone to take photos to upload to clients website. 8 Mp is more than enough from a handphone. 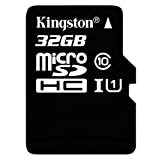 Try uploading a 20 Mp photo to a website. Actually, a 2 Mp photo is sufficient. 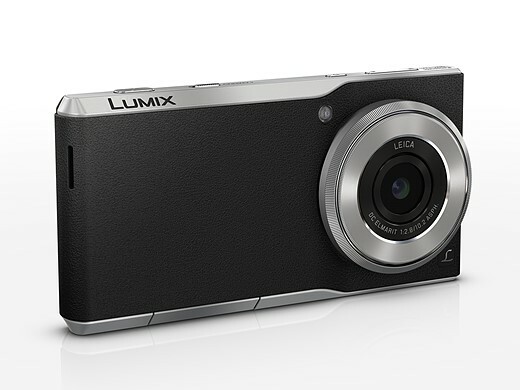 This is a compact premium camera WITH a smartphone. Think on journalists and serious amateurs. Interesting. Looks like Panasonic is trying to come back to the mobile phone market after years of absence by introducing this devise. However, the price is a big hindrance to its return. How many users will want such a camera on a smartphone? How good is this phone by itself? The Panasonic brand for smartphone is not well accepted at this moment. Too much risk for the new buyer. Is Panasonic coming back to this market to stay? Is this a one off product? Panasonic was in the handphone business in the 90s but left after a few years. Who would want this - I don't know - maybe someone like me. I don't require a lot from my smart phone, I am sure a lot of its potential is wasted on me. But I do require a lot from a camera. And the camera in most smart phones is not acceptable to almost all photographers. This one though - this one just might be. If you are really a photographer type you would most likely go for the Ricoh GR when you require a 28mm f/2.8 fixed lens camera at a much lower price. There will be still money left for a reasonable smartphone. If you are an ordinary handphone user, the other features will be more important than a larger sensor camera. Remember, the asking price is about $1200. Perhaps, James Bond will like it especially when he doesn't have to pay for it. Yes, I already have a "real" portable camera. But it isn't nearly as portable as this one. And I always have my cell phone on me - can't say the same for my camera. The price will drop. And Samsung, I am sure, will also put a 1" in a phone soon and then the race is on. I wouldn't by the first iteration of this device because it's priced pretty high. But I can imagine Sony, Samsung or Nokia/Microsoft bringing more affordable models in the future. I was considering jumping ship from iPhone to Sony Xperia because of the imaging quality. Then the iPhone 6 Plus landed, I was awestruck, now this! I believe any photo enthusiast will look at the camera combination and say "finally! A decent low light camera in a phone!" it won't replace your best camera but it will be there for you when you didn't bring it along. This phone is aimed at the premium photography phone market, so I guess with the higher price comes some exclusiveness. Looks very nice both in specs and design. 2600 mAh is too small. Given the combined appetite of both the hi-end Android smartphone and 1-inch camera the battery life must be terrible. They should have made the non-camera part thicker, with 4000 mAh. And some kind of lens cover. "2600 mAh is too small. Given the combined appetite of both the hi-end Android smartphone and 1-inch camera the battery life must be terrible. They should have made the non-camera part thicker, with 4000 mAh." 1. It's barely a high-end Android phone - it "only" has a Full HD screen (of course, that's more than sufficient at 4.7") and a Snapdragon 801 CPU; that is, not a QHD (1440 x 2560) screen / 805 with significantly higher power requirements. 2, bigger sensors don't automatically mean bigger battery drain, particularly when not shooting video and/or on devices without an OIS. For example, the Nokia 808, the sensor of which is only a bit times smaller (1" vs. 1/1.2") has no power problems, not even when excessively shooting stills. And it only has a 1500 mAh battery. Of course, Nokia has always put a LOT of emphasis on producing truly power-saving tech. That's one reason of the stellar battery life of the 808. Whats with all the 28mm equivalents these days?! I HATE 28mm equivalents. Give us at least a 35 or a 40! What! Only available in Europe! NOOOOO! Oh well, I have family in Germany, I can still get one. Hehe. 152 comments so far? It seems that commentators tend to appreciate evolutionary movements!..Bravo Pana..
Sensor choice is more for eye-ball grabbing I guess. In my mind, a 1/1.7" curved sensor with a large aperture lens should be the balance point for the phone to be still more "phone with a strong camera" rather than "camera that can call". Finally !!! Someone opened the Pandora´s box, now will see Samsung/Sony etc. producing better camera phones. Bring it on ! Panasonic sent Samsung and Sony technicians, back to the Drawing Office. Sony and Samsung smartphones have today 4K @30fps instead of 4K @ 15fps like the CM1. What was Panasonic thinking since they already have more 4K cameras with 4K @ 30fps than any other company and the first 4K camcorder with 4K UHD @ 60fps on low cost SDXC cards. The key feature of this phone, is the size of the sensor (as it is one of the two main parameter -sensor, lens- for taking quality photographs ) and the fully manual control of the phone-camera than any other feature, not to mention the high iso capability. Nice, but can I have a 1" sensor on the front as well.. You know, for selfies. That would make it as thick as my 36mp full frame Sony A7r with Zeiss FE 35mm wide angle. This is great even if you use it as a camera-only device (not to mention that you can leave your phone at home when having this with you). This is a no-compromise photo camera. I don't know of many 1" cameras (if any) with this size. All the other fixed lens cameras are larger than this and miss the point of having a fixed lens camera, which should be as small as possible. I only wish that it could do 1080p at 60FPS, on my Sony RX100 the 60FPS footage looked a lot less choppier than the 30FPS, but maybe Panasonic is better at this. It's probably a heat issue that prevents 60FPS. Also, the lack of optical image stabilization would require at least software-based stabilization in movies, which is still unknown if it exists in-camera, but given the dedicated Venus Engine imaging processor there may be some kind of stabilization available. Interesting, finally some competition for Lumia 1020. Lumia may have a smaller sensor, but with stabilization and brighter lens. Also Lumia supports RAW, which is not yet supported in Android. And Lumia has Xenon flash. Can't see how this devide could win against Lumia. Well, just compare some samples from the Lumia 1020 to the ones from the Sony RX100. You will then realize that the Lumia stands no chance against this, there is no comparison. Plus the auto-focus on the CM1 is worlds faster (at least according to specs) and has a dedicated imaging processor. The CM1 is a no-compromise photo camera, while the Lumia is a smartphone with a good camera. "The CM1 is a no-compromise photo camera"
With wide angle lens on Lumia 1020 the focus speed concerns me the least. It is very snappy for anything you would want to shoot with this lens. I found no direct comparison between Lumia nad anything with 1" sony image sensor, but I'm sure it will beat Lumia at least in dynamic range. I do not plan to replace the Lumia anytime soon, but if maybe one day if either Android gets better or Panasonic replaces this with a Windows Phone (and adds OIS and flash), I might consider it. 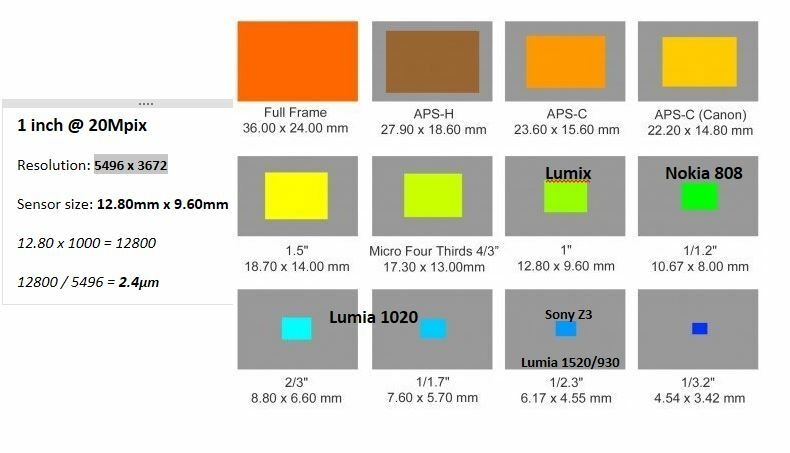 The difference between the Lumia 1020 and something like the RX100M3 with 1" sensor (same sensor as in the CM1) is HUGE! There is a difference of 2 stop so even with the 1/2 stop faster lens on the 1020 there is still 1.5 stop difference. You also have easy access to manual controls with the CM1. DXOmark is full of bulls**t. Basically that company is financially closely related to Sony so they are biased in methodology. Doesn't reflect real life experience. and easy access to manual controls on a touchscreen? Any mobile phone has that. Pretty certain the CM1 will blitz the 1020 as the pixel micron is that much larger. 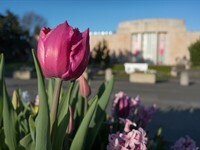 One can expect higher dynamic range, better color fidelity, lower noise, and overall better image. The 1020 may have the wider field of view but the corner performance was nothing short of poor. Yes, bigger pixels will help a bit. But corner performance is not a problem IRL. There is a slight blur in the very extreme corner, but that area is out of focus or cropped away in 99% of my pictures. The photo part of Lumia 1020 would benefit most from variable aperture. Nokias used to have this in the past. With 1/1.5 sensor size and f2.2 lens sometimes the DOF is too shallow. This is by far the most impressive announcement by Panasonic. instead of shovin a pocket cam and a phone in your trousers, you just have one thing for everyday purpose. And for serious photography, bigger cameras are required anyway. it is only too expensive. So the 4K video will be @43mm because 1.54 crop. No? So the 4K video will be @43mm because cropping 8MP from 20MP sensor with a 28mm lens with 1.54 fact. No? CM1 4K only at 15fps and 1080p at only 30fps when there are smartphones out there now with 4K at 30fps and 1080p at 60 fps. CM1 only recording 4k at 15fps almost makes it pointless in my opinion. I personally would rather capture at 24fps or 30fps. Also then the question begs, can it record video in stereo? Suspect the CM1 is designed with stills in mind. I love the basic spec's but it would be nice to have the opposite than Pana is offering now: a camera mimicking a smartphone. The concept of Galaxy is in point - but the size of the sensor and other data are from the different expectations. As someone mentioned in the present comments, the classic and still tempting 1/1.7" sensor along with the optical stabilization and modest pricing may be a relevant alternative. To put it simple, it is by far the smallest camera that can be taken seriously by photographers. As a bonus, you don't need a separate smartphone. The physical ring for adjusting aperture / shutter speed / exposure compensation is very welcome for those who have used to traditional cameras. You mean it is the smallest *phone* that can be taken seriously by photographers. Many other cameras are small and perform well, the RX100 is one example. All things being equal it will probably outperform the CM1.